The world of cryptocurrency is facing many challenges. The main challenge to the legitimacy of this new landscape is from none other than the governments. It is because cryptocurrencies and ICO’s transcend borders and make life difficult for governments to earn from traders and international dealers. But, as you may not know, the crypto world doesn’t have a legal voice and in most cases, it is being swept aside by hard-handed government measures that you can see in China and even a little in the USA. SmartOne, a blockchain-based legal startup, wants to create a community of lawyers that can represent crypto entities and make their voices heard and fight back. The SmartOne team is made up of lawyers who have worked extensively on the legalization of ICO’s and how they can create a legal status for the unique products of the crypto world that need to be put under different umbrellas than conventional organizations. All around us, we see that ICO’s and cryptocurrency exchanges are being cornered by governments that want them to come under the one-size-fits-all approach when it comes to laws formulated by entities; the recent move by the United States government to put ICO’s under the Securities and Exchange Commission is rooted in the fact that ICO’s are like stock exchanges, and need to come under the same laws. There are a number of ICOs who have been sued and forced away from the crypto scene because of this approach. Starr was one of the promising ICOs and all of its’ funding was returned to the investors as SEC clamped down hard on it. There aren’t a lot of lawyers and conventional firms who can provide legal representation to ICOs as not many people are familiar with the industry right now and as a result, the crypto community will continue to suffer as long as there are no robust options for them. ICOs need representation in courts and they need it now. SmartOne aims to create the ecosystem required to give legal options to ICOs, cryptocurrency exchanges and even cryptocurrencies themselves. 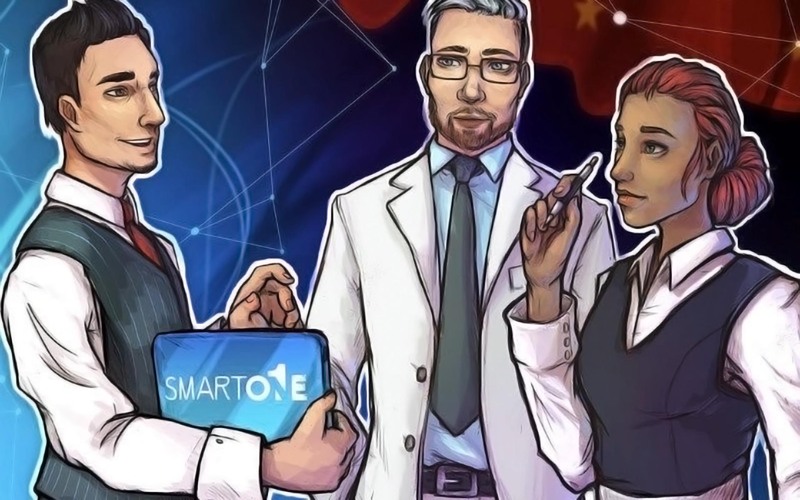 The lawyers who work on SmartOne will be supposedly blockchain-educated and even be equipped to call the courts to allow leniency since this is an era-defining technology that will have continuous implications in the future. Increased business activities and innovation is at the center of any free market-based system so there is a silver lining for cryptocurrencies there. ICO’s especially are very important for the future development and progress of decentralization and blockchain and they are likely to welcome the idea of SmartOne. The enterprise-based legal approach has failed to represent the crypto community and defend their interests in the face of a hostile government and its actions. It is time for the crypto community to have a specialized legal platform where they can search for lawyers with adequate experience and knowledge of the crypto world. Things will definitely start to change for the better if such a system can take off and both legal and crypto communities embrace it. The token is named LEGAL token and SmartOne will undergo an ICO starting from November 15 2017, where it will offer LEGAL for purchase. A 10% bonus is on offer to potential investors during the whitelisting process. SmartOne’s model is such that it will continue to play its’ role in the legal evolution of the crypto world and not just stand back and watch after the initial launch. This approach is very much needed as we can foresee continued legal struggle around the world.